NarcoGuerra Shortlisted for a Media Innovation Award! Auroch Digital's GameTheNews.net title, NarcoGuerra, a news game focusing on the War on Drugs in Mexico, has been nominated for an award in the Games category in the 2014 Media Innovation Awards. It is a real honour to be nominated alongside the other inventive and interesting projects released in the last year; Cbeebies Playtime (by Mobile Pie) and the Daredevil Project. NarcoGuerra is a game that we are very proud of. The attention it received and (more importantly) the debates it provoked gave us confidence that we had delivered on our remit of producing an informative and engaging game while dealing with a very sensitive subject matter. NarcoGuerra - our newsgame looking at the War on Drugs. 9th November, 2013: On the 125th anniversary of the murder of Mary Jane Kelly, Bristol based indie GameTheNews announces a new title based on the infamous ‘Jack the Ripper’ murders. Today, Friday 8 November 2013, Bristol-based indie GameTheNews.net announces its latest development, a new title based on the infamous 'Jack the Ripper' murders called JtR125, one of six new collaborations between filmmakers, academic researchers and creative companies as part of the REACT Future Documentary Sandbox, a nationwide programme to explore the theme of Future Documentary funded by the Arts and Humanities Research Council. 125 years ago Mary Jane Kelly was murdered, her badly mutilated body found by a rent collector seeking her arrears on the morning of November 9, 1888. 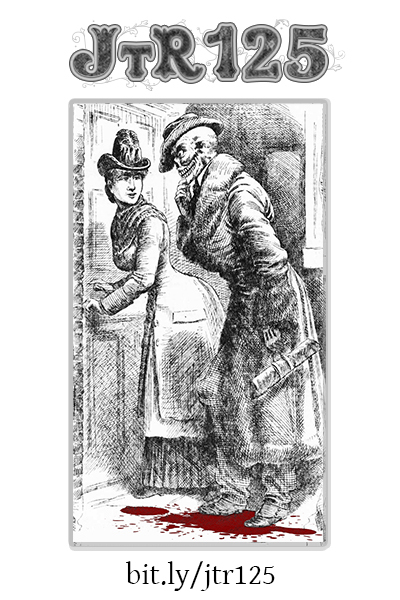 The terrible nature of the murders by Jack The Ripper, who himself was never brought to justice, has ensured the ‘Ripper’ killings remain a mystery that still repulses, contests, fascinates and resonates today. As part of the Future Documentary Sandbox Rawlings has been paired with Patrick Crogan, games and digital media expert, University of the West of England, and Professor of Media and Journalism at Middlesex, Janet Jones. Professor Jones remarked, "The idea with JtR125 is to test the break-down of generic boundaries between games and serious documentary so that the world can be reported in a potentially more dynamic and investigative way that might better engage younger audiences accustomed to finding things out through digital play. Maybe in five or ten years time, every BBC newsroom will have a gaming desk alongside Radio, TV and online. We're focusing on how we might create acceptable templates for merging archive, talking head (all the traditional factual production conventions) within a game framework without destroying the experience or breaking the creative paradigm. There are undoubtedly lines to be drawn here and as we develop the Jack the Ripper game we hope to be able to draw those lines more clearly." An article on Develop Online about the project. Projected noted in podcast and text interview. GameTheNews, the developer of topical newsgames such as Endgame:Syria and NarcoGuerra has turned its development skills into a different area; kids games. The GameTheNews's hosting company, Auroch Digital has developed three titles for the launch of a new digital games site at Shakespeare’s Globe, which has commissioned a number of fun activities for children in their new online 'Playground' area. What people may find a little surprising about one of the contributions to new site is that one of the games, Hemmings Play Company, is based on the gameplay engine of their controversial release Endgame:Syria. This latter title focused on the ongoing civil war in Syria. The game was banned from the Apple Store, ultimately only finding it's way onto the market place re-branded as Endgame:Eurasia. In Hemmings Play Company the player is tasked with helping Hemmings, a bear in charge of a theatre troupe of other animals, with earning enough money to rebuild the theatre after it's inevitable destruction. The tanks and assassins of End Game have been replaced with the Globe's own colourful cartoon characters striving to give a good performance for their audience and deal with the daily challenges of running a theatre. 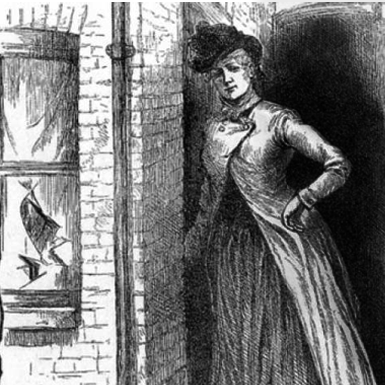 November 8th 2013 will be the 125th anniversary of the murder of Mary Jane Kelly by an unknown assailant known as 'Jack the Ripper'. This project uses original photography and 3D game elements to experiment with making a 'playable documentary'. Exploring notions of crime, news reporting and ethics, players will interact with characters, discover clues and piece together the story, drawing parallels between contemporary society and this infamous crime. 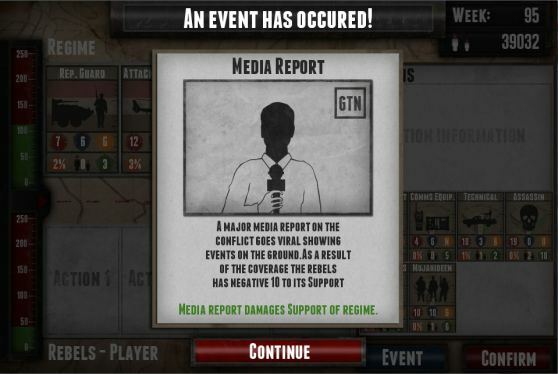 21st MARCH 2012, BRISTOL, UK: The controversial newsgame, Endgame Syria, has been updated on Android and released on two new platforms - PC and Facebook and yet the developer is still struggling to release the original title on Apple's App Store. After three rejections, the developer has had to not only remove references to specific groups that are part of the conflict, but any reference to aswell as the actual word 'Syria' too. As a result the much-amended version of Endgame:Syria has made it past Apple's approval process as 'Endgame:Eurasia'. The developer, GameTheNews.net's Tomas Rawlings remarked, "We've come to the end of three rejections and one appeal and the only way we've been able to get Endgame:Syria out on iOS was to remove all references to the real world and sadly that changes it from a 'newsgame' into just a 'game'. We've released this game version so at least players with Apple devices can get a feel for what we originally intended for the platform. We are of course disappointed to not be able to release the game and hope that our experience informs a wider debate about how games have matured into a form that would benefit from a reappraisal by some." To help players using the App Store version to get a feel for the original title they have released a conversion guide to explain how the wording of the game has had to be changed. By contrast to Apple's policy decision, Endgame:Syria has been recognized by Games For Change, one of the world's leading exponents of how games can be used beyond play. The updated version on Android and for PC adds newer events from the ongoing war including Scud Missile strikes and the enhanced fears over WMDs. The game is free and available now from Google Play. It is also free on PC and can be downloaded from Desura, GamersGate, IndieCity, Indievania, and GameJolt. 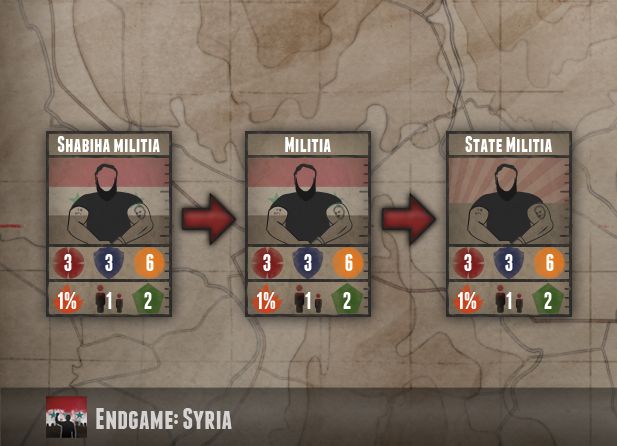 Endgame:Syria was launched last year and allows players to explore the difficulties and options open to the rebel side in the ongoing Syrian civil war. The game attracted wide coverage for not only its subject matter but how it was received by gaming and non-gaming audiences. The developer, GameTheNews.net, has released a wide variety of games that explore current affairs from a commentary on the horse-meat scandal to covering science and technology news. Many people would be hard-pressed to find Syria on a map, let alone know the factions that are fighting and the outside nations that are backing them. A simple computer card game may not be deep, but when players ponder whether to play a "Saudi Support for the Rebels" or a "Rebels Assassinate Key Regime Leader" card, they are making decisions, and that is how humans learn best. Perhaps it will spur them to learn more current events, or if nothing else, they may remember a few names and places, and who is fighting who. At the least, they will learn a lot more than playing Angry Birds on an iPhone. As gamers, we are generally happy to delve into historical battles such as World War II in Medal of Honor, despite the devastation, violence and death, and barely an eyelid was batted when the genre moved into modern warfare in Afghanistan and Pakistan with its latter sequels. However, delving into an ongoing conflict, where tensions are extremely high and the subject matter sensitive, is another matter entirely. .. By addressing a current civil war and its multiple factions and infinite social complexities, Endgame: Syria is not giving us any answers -- it's encouraging us to ask more questions. Try Endgame:Syria for yourself at GameTheNews.net! The next newsgames to be released from GameTheNews are currently in development about the War on Drugs and Climate Change, coming soon! BRISTOL, UK DECEMBER 13th, 2012: Games have been growing in force as a medium but still tend to be seen as pure entertainment. That perception is being challenged by a new release that explores the war in Syria in an interactive form, titled 'Endgame Syria'. Developed as part of the new project GameTheNews.net, creators Auroch Digital are using rapid-game development methods to build games quickly in response to real-world events. 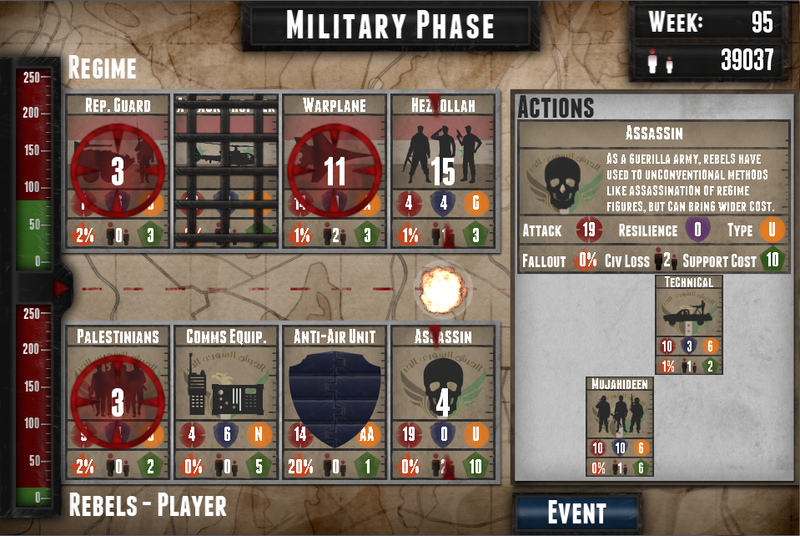 Created in a development time of two weeks, the game allows users to explore the options open to the rebels as they push the conflict to its endgame. Each choice the user makes has consequences – the types of military units deployed, the political paths trodden. Not only does each choice impact the current situation but they also affect the final outcome. 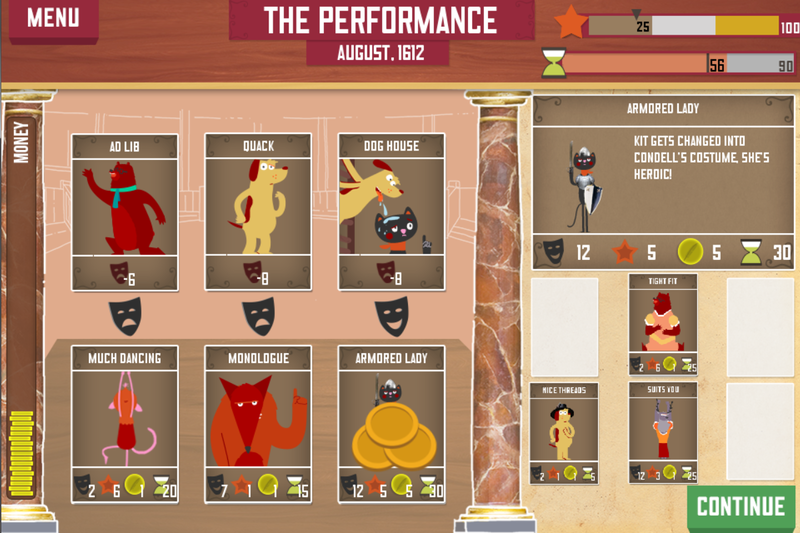 While the game was made rapidly, the developers report that even over the two weeks of development, they still had to change elements to reflect events happening in the real-world. 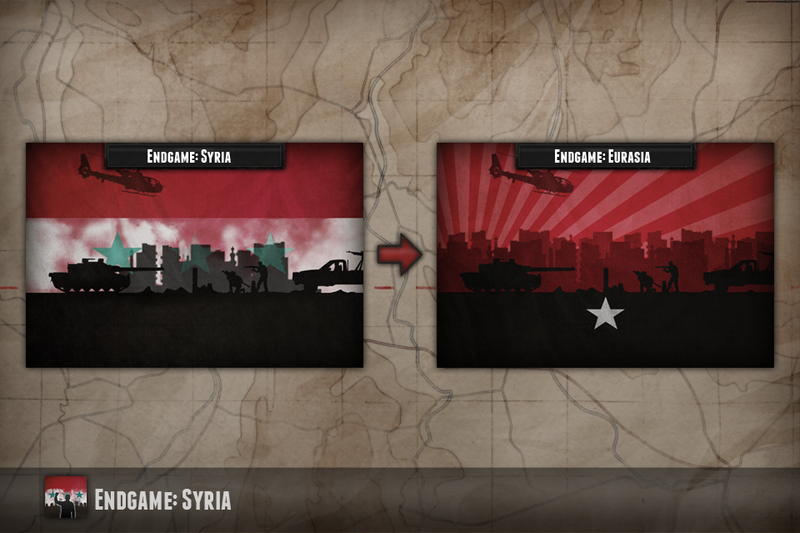 “We wanted the events and actions in the game to mirror the real situation,” the game's designer Tomas Rawlings explained, “So while creating this experience, we were also continually looking at the news and adding or removing components to keep the content current.” Endgame Syria is free to download. The developers say that if this game brings the issues of the war to an audience who might otherwise not have engaged with it, then the risk of making something controversial rather than playing it safe will have been worthwhile. The game free to download for Android via Google Play and is available to play on the GameTheNews.net website as a HTML5 game and also due out on iPhone, iPad and iPad Touch imminently. Full details can be found at http://bit.ly/endgamesyria. The project was created using GameMaker Studio development technology. Game the News is supported by the University of Abertay Dundee's Prototype Fund with additional help from the Pervasive Media Studio in Bristol. By making Endgame Syria I hope that we've encouraged some people who didn't know much about the situation in Syria, to find out more. After all, the chances are your taxes are going into this war in one form or another. We also hope that we've joined the ranks of other games that have been unafraid to take on serious subjects and cover them with sensitivity. If either of these are the case, then the risk of making something controversial rather than playing it safe and making games about shooting Nazis or grumpy avians will have been worthwhile. Endgame: Syria is a neat little game that does not deserve being shackled to a small window in the browser. The game oozes quite some quality and is actually fun to play. Players familiar with card games like Magic: The Gathering should have no problems playing this game as the rules are very much simpler here. 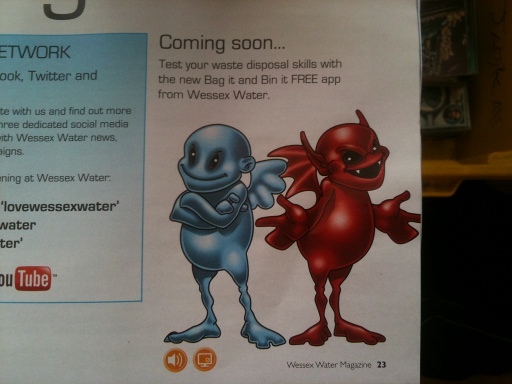 Above is an image of two critters in the most recent Wessex Water magazine that dropped though my letterbox. They are the stars of a new iPhone/iPod game that I've been working on along with the nice people of ToolBox Design. This cute little bundle of digitally-smelly fun is a game that as well as being enjoyable, also teaches the player about what waste you should and shouldn't put down the drain or flush down your loo. The serious message behind the game is that putting the wrong stuff into the sewer system not only risks creating a blocked drain for you (eew!) but can also have knock-ons that waste lots of water and could cause environmental damage. See here for more information.